OneDrive is the cloud technology service that comes with all recent office programs. It allows you to save up to 5TB of files, photos etc, and then access them anywhere on a machine that has OneDrive installed. We recommend using it to save any files you want to keep on your JCR account, as we do not provide network storage for your college account. As an added convenience, it will allow you to access any files you make on your personal PC and save to the cloud on the JCR machines, and vice versa. To get access to this functionality on your machine you should download office 365, which is free for all students while they study at Oxford University. OneDrive is incredibly easy to set up, and even easier to use. 1. Open your Office program. This guide will be using Word, but this works exactly the same in all other Office programs. 2. Go to file, in the top left, and then open the save as tab in the menu on the left hand side. 3. Go to OneDrive, and then press the sign in button. 4. Sign in with your university email address. You will be redirect to the SSO login screen - enter your SSO credentials here. 6. 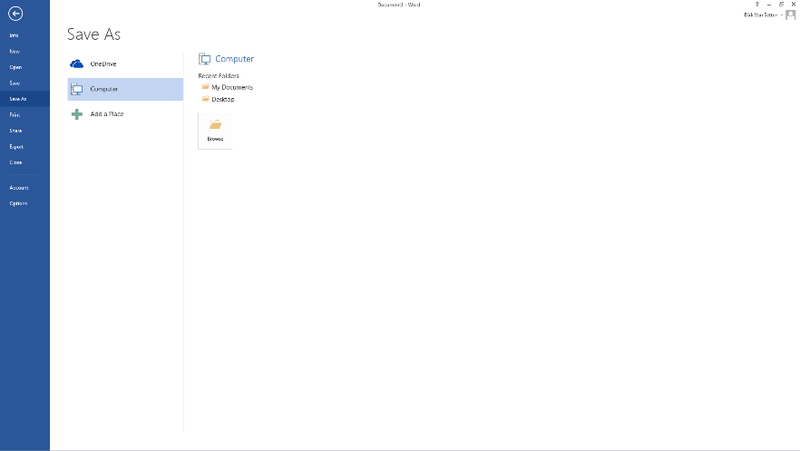 OneDrive can also store non-Microsoft office documents. Just sign into your Office 365 portal, and then upload or download your files anywhere. 7. You can even use OneDrive to share files between different accounts. Just follow the instructions upon first logging in online.